Are you a big fan using coupons to save on groceries and other items, but struggling to find ones for products you’ll actually use? I used to have the same problem. I’d guess that most people tend to think of the Sunday newspaper as the best place to get coupons for groceries and household products, but sadly in my hometown we don’t have a Sunday paper and none of our papers have coupon inserts in them – ever. Because of that, I’ve had to get a little more creative and think of non-traditional ways to get coupons so I can stick to my grocery budget. Here are four non-traditional ways you can use to get more coupons too. The first way I started to get more coupons was by printing them off from websites like coupons.com. There are several coupon database websites that you can use to print coupons on your home printer. Just be careful to avoid going overboard and printing coupons you don’t need or won’t use. This becomes a waste of time and money as you’ll be using paper and ink for coupons that won’t save you any money. I learned by watching Extreme Couponers that you can actually buy coupon lots online. It sounds counterintuitive, but buying a lot of 20 identical coupons for something I want to stock up on does save me money. I usually set a maximum price I’m willing to pay for the coupon lot so I can maximize my savings. For example, if you pay $2.50 for a pack of 20 coupons that will save you $1 on each item, you are still netting a savings of $17.50 with the coupons. I’ve even bought coupons in lots of 20 and re-listed 10 of them because I didn’t need all of them. Another idea is to split them with a friend. One time my mom bought a lot and I bought a lot and we shared them half and half so we could both save money on groceries. If buying coupons is not an option, you can also consider using rebates sites that offer cash back by shopping through their portal. Sites like Swagbucks allow you to earn cash back from your normal shopping – thus a similar benefit to a coupon. Most people’s beef with couponing is that you can’t find coupons for specific products or brands when you need them. One way to get around this problem is by simply asking for the specific coupons you want. You can write a very complimentary letter to different brands and manufacturers, and also ask them if they have coupons available that they could send you. I always mention that providing me with some coupons will encourage me to continue using their product, even if it is a little more expensive than a competitor’s. Additionally, I’ve heard of people getting coupons from doctors’ offices, dentists’ offices, and more by asking the doctor, assistant or receptionist. If the doctor recommends a certain over the counter product for you, it never hurts to ask if they have a coupon for it. I already mentioned this one, but trading coupons with others is a great way to get more and different coupons than what you’ve found yourself. When I still worked in an office, we had a coupon basket in the breakroom where anyone could put clipped coupons they weren’t going to use. There were no written rules, but the implied coupon etiquette was that you could take some only if you gave some too. This was a great way to get extras of some coupons, or find different coupons that I didn’t find via my other methods. Using coupons is a great way to save money on food and products you plan to use anyway. If you get creative with these non-traditional methods you’ll be able to find more coupons and save more money. What sources do you coupons? 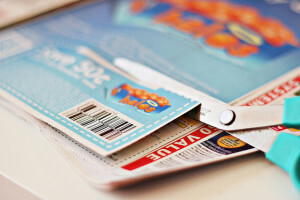 Have you ever bought coupons as a way to save money? If you do use coupons, how much time do you use each week to locate them?